Happy Monday MBT friends! Hope you had enjoyed your weekend to the full! My weekend started Friday night at friend's house with yummy pizza and garlic bread. On Saturday, I did dusting and cleaning and made few yummy dishes and went for grocery shopping! Sunday was a funday with Mr MBT and we went to movie "Traffic" in the evening and finally had a dinner! All and all I enjoyed my weekend! 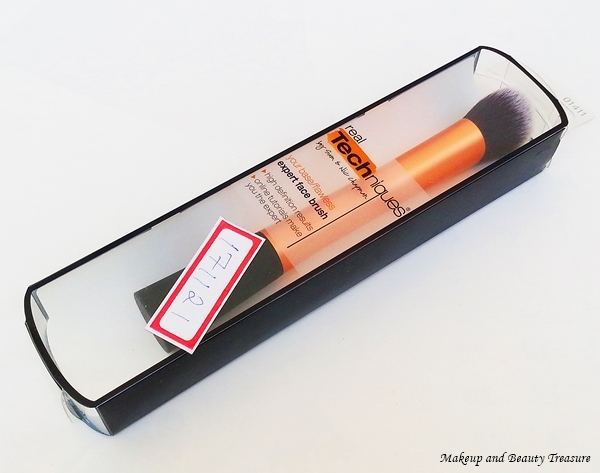 The only thing I dislike about Mr MBT is he does not give me enough time to do my makeup and I am always on the lookout for makeup shortcuts and here came my favorite "Real Techniques Expert Face Brush" for quick foundation application. After trying Real Techniques Stippling Brush, I wanted to lay my hands on all their makeup brushes. Literally these are the perfect and affordable brushes one could own! After reading many rave reviews on Real Techniques Expert Face brush on blogs and YouTube, I finally decided to order it. I got mine from Flipkart but you can BUY ONLINE HERE also! It is priced at Rs 780! The box keeps the brush safe! The golden handle makes it look professional! Real Techniques Expert Face Brush comes in a clear plastic case that is very convenient while traveling. I hate keeping my brushes without case in my handbag as it just damages the bristles of the brush. This one is perfect and keep my brush in shape. 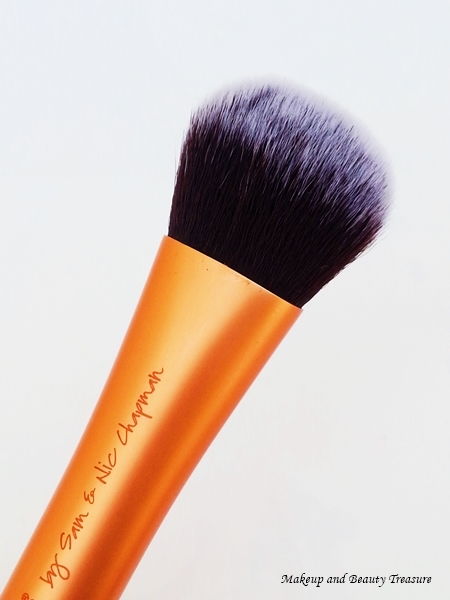 The brush looks very professional and has golden aluminium handle that feels very light whilst holding. The ultra plush taklon bristles are firm yet feels very soft on the skin. It is 100% cruelty free which I truly appreciate. 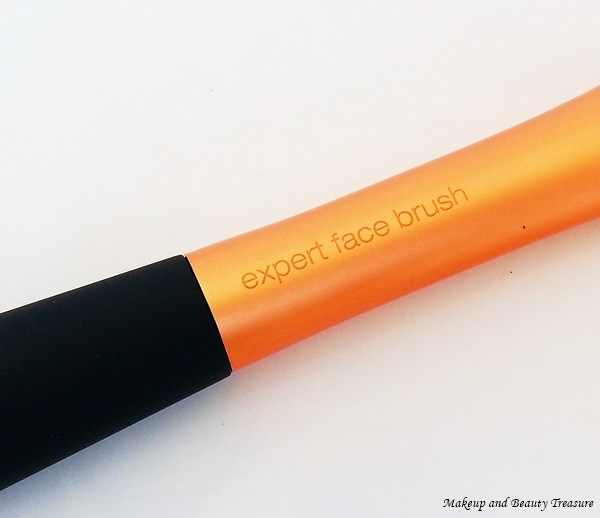 The expert face brush gives medium to full coverage with liquid to cream foundation. I simply dot the foundation at the center of my face where I have redness and blemishes and then using the brush I stipple it at the center of the face and then buff it outwards. This way it helps me in achieving gorgeous, even, smooth and air brushed finish! It can also be used for applying powder, blushes, highlighters etc. For cleaning the brush, I simply wipe it with a tissue after every use and deep cleanse it with a baby shampoo at least once a week to avoid any breakouts on my acne prone skin. - Soft bristles. Added bonus: they are cruelty free. - No shedding of bristles post wash.
- Gives a gorgeous air brushed finish! - Versatile. It can be used to apply foundation, blush, powder, highlighters etc. 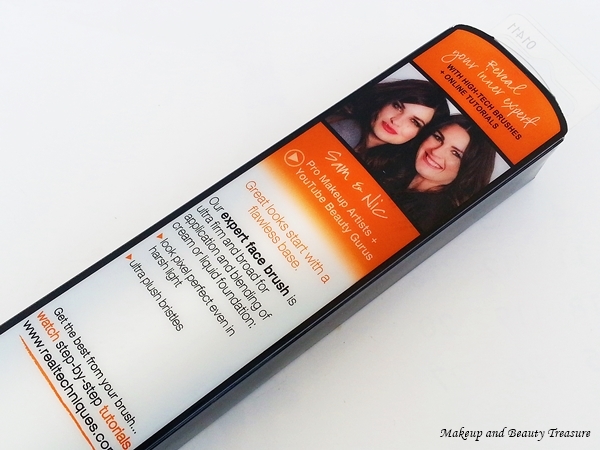 - You can even use it for applying concealers. - Not easily available. You can buy only through few online shopping websites. - Pricey on Indian online shopping website. Lookout for the discounts and offers! Real Techniques Expert Face brush is my favorite foundation brush. It gives medium to full coverage without streakiness. My skin looks even and flawless. It can be used to apply foundation, powder, blush or highlighter. 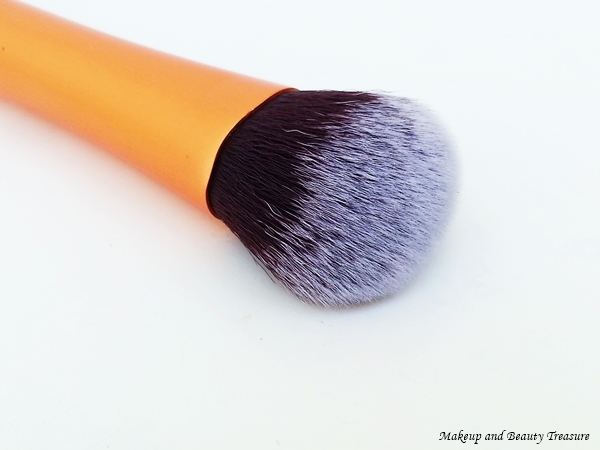 A must have brush if you are a makeup lover! - Clean your brush at least once a week with a baby shampoo. - Clean it with a tissue and makeup cleaner after every use! - You can also use it to apply concealer! Have you tried Real Technique brushes? What is your favorite? I love RT brushes very much... They are total worth for the price! I agree but i feel the prices are high in India! You must try their stippling and expert face brush nats! 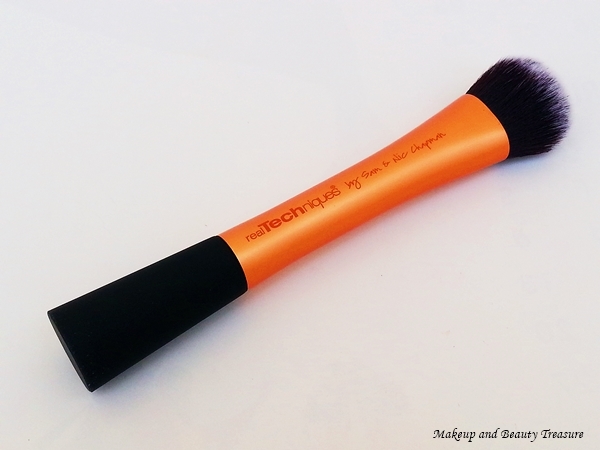 Hi Megha,I want this Real Technique Expert Face brush as I have heard a lot about it.I searched for it on various sites but the authenticity of the brushes is what puts me in a dilemma as to from where I should buy it.There are a lot of fake brushes also that are being sold.Loved the review Megha. i agree yamini. there are so many fake brushes in the market. i got mine from flipkart and got the original one! though there too the sellers keep changing! i m yet to try their other brushes! I have this one, it is awesome.